Have you ever been to a séance? As we had learned previously, séances have lost their validity over the years due to confidence artists arranging hoaxes to appear as if there was a supernatural happening during the séance. Though this caused many individuals to believe that indeed all existence was only in our physical realm, many faiths including Wicca, Spiritualists, and Native American religions hold that there are forms in alternate realms of the Universe that are able to communicate with us. We call these transcendental beings Spirit Guides. To be frank, though some would disagree, even Christianity has a place for Spirit Guides in its theology. 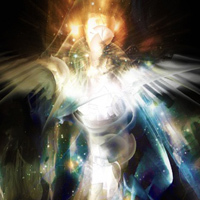 The idea of a Guardian Angel, who travels between Heaven and Earth for a given purpose, often to protect human beings, encompasses the notion of Spirit Guides. Native Americans often refer to the Spirit Guides as Totems. Some Wiccans and Spiritualists refer to Spirit Guides as Natural Guides. Whatever label is given to them, all of these faiths that do believe in Spirit Guides concur that animism, or the idea that every living entity has a soul, and once passed is able to transcend the realms, entering our Planet at will. Those who believe in Spirit Guides usually hold that these transcendental entities do not need to have been human in their lifetime on Earth. It could be a plant, an animal, even a cell. Nonetheless, this could infer the ghost of an ancestor as well. When a living creature has passed from this world, it is said that they have entered an alternate realm. Perhaps this realm is a paradise, where most of these entities prefer to stay. However, some may have motives for returning to our realm, or at least existing between the realms so as to give us the ability to reach them in one manner or another. As in the name itself, they do so to guide us and help us with a mission that we might have here on Earth. Please note that this is a true belief that many have, and it is not the Hollywood notion of a murdered man’s ghost returning to murder his murderer, nor to watch over a loved one. The mission is said to be given by a higher power than the entity, perhaps the Divine, and is all part of the greater plan of the Universe. So how does one contact a Spirit Guide? Usually one is contacted by a Spirit Guide if their paths are meant to cross. There is, however, an alternate manner in contacted a Guide that takes great experience, concentration, and will power. Wiccans, Spiritualists, and other groups alike refer to this as Astral Projection. It is perhaps the most difficult task to which an individual can challenge themselves. It is also not an easy task to define this term. Essentially, it begins with intense visualization exercises, which trains your focus. With great practice and concentration upon the goal at hand, these exercises become very difficult, causing great strain upon the mind. The ultimate goal is to train your brain to exit this realm, and exist in an alternate realm. It is here, between the realms, where an individual meets their Spirit Guide halfway. The success rate for Astral Projection is very low, and some hold that only those who are meant to meet their Spirit Guide can achieve this goal. Furthermore, you might have heard of individuals having visions either in a state of great mental focus, or during a lucid dream. There is an ongoing debate as to whether this can be considered a parallel state to Astral Projection, or whether it is just a complex creation of the brain. I believe that this debate shall go on for much longer. This was a very basic introduction. Is there anything that you would like to know about Spirit Guides? If so, please do not hesitate to ask. I was told by a " Shaman" lady , in a reading she did for me that my Spirit guide is a Hummingbird & Lo N' behold ! I have seen many of them & even on a couple of occasions watched them building their nests ! Fascinating birds ! Just thought I'd mention it ! Thanks & Blessed Be ! i wud like a spirit, da unseen to help me and aid me in my time of need and help. all my struggles n efforts went invain and nw im practising magic to help me pull thru dis bad phase im going thru. i need a spirit to guide me and gat me thru to da winning end. i wana ride on victory and....how do soon can i contact a spirit guide as im gud at meditating and focusing and doing rituls and so far i part of it is slowly working. bt i need a spirit guide can u help plz. An angel has been appearing in my bedroom at night. I am awake and the room 'lights up' along with a very light energy that resembles clouds, and it takes a shape, that of a human form, I can see the outfit, his expression, hair etc in detail, including something he had on his back (it's like a small backpack) and he shows me meaningful objects/scenes around him. (but interpreting can be very difficult). It does not last long but the contents you're able to grasp perfectly. 1. Is this my Spirit Guide? 2. Why is it showing up and doing this? But during the day, daily, I've also been shown images, mostly figures that become symbols (recurring), letters, in a variety of ways, manifesting in the physical world (like in a wall or the floor for example), also blinking (internal lights) and everything conveyed through Synchronicity - of letters, images, contexts, things strangers say (or do), sounds, etc, just whatever is around me, and of course, numbers. There is also recurring synchronicity with certain animals. It's too intelligent. Also in my 3rd eye (which I had no idea what it was) but many turned out to be premonitions (visions of the future for example). 3. But is it possible to see something in the 3rd eye that is not a message or future event or past life or anything 'significant' but just 'tune in' to some whatever by accident? (like syntonizing through a similar vibration) Also intrusive songs play in my head with such frequency (oh my god...) they all seem to convey messages but require interpretation. They also get inside the context of the synchronicity. It's just too internal. I've been wondering what ALL of this is or where is coming from, if it's the Universe (my manifesting), if it's my Higher Self, if it's an Angel, if it's an intrusive being, if it's an Awakening side effect, if it's an implant (like those that lightworkers remove), or what is it. 4. Would you know what it is? Thank you so much for the attention. What is the simple word that can be used to define spirit guide? 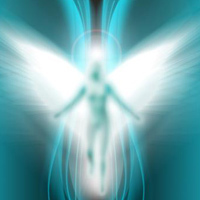 Could one assume to be a spirit guide having transcended earlier but in human body? I understand that many of you want to know how to contact your Spirit Guide. Sometimes it will be an animal. Normally, your Spirit Guide will come to you although it will be a very subtle meeting. Do not get discouraged if you have not found your Spirit Guide yet as they most likely have found you.